The Chris Hogan Show | Listen Free on Castbox. “The Chris Hogan Show" provides sound answers to your money questions. 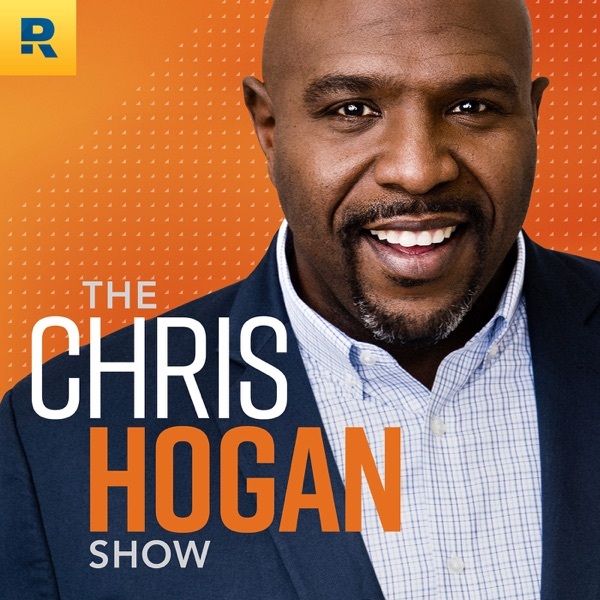 Featuring Chris Hogan, America’s trusted voice on retirement, investing and building wealth, this show educates, encourages and empowers listeners of all ages to create a solid plan for their money and to work toward becoming everyday millionaires. "FOMO and YOLO are cute phrases, but they are excuses that try to justify something you probably shouldn’t be doing. Those daily decisions set us back rather than help us fast-forward toward becoming everyday millionaires.”— Chris Hogan This episode is sponsored by our friends at WizeHire. Connect with a mortgage expert at Churchill Mortgage. In Everyday Millionaires, I will show you how ordinary people built extraordinary wealth—and how you can too. The Chris Hogan Show is also available on YouTube. Other Resources in This Episode: + Read the Article + Use the R:IQ Assessment Tool + Find a SmartVestor Pro + Check Out the Net Worth Calculator + Join Our Private Facebook Community We want to talk to YOU! Call us with your success stories or questions about money. Leave us a voicemail at 844.283.9383 or email us at ask@chrishogan360.com. This episode is sponsored by our friends at WizeHire: http://bit.ly/2RN7la3 Connect with a mortgage expert at Churchill: http://bit.ly/2HUceZr Buy a home or refinance with Churchill: http://bit.ly/2HUceZr "In your lives, I want you to control the controllable. Millionaires believe they are in control of their destiny. That means you get a chance, you have choice, and you have a voice.”— Chris Hogan In this episode, I’m going to tell you what 97% of millionaires believe about dreaming in high definition. Do you want to reach millionaire status? Then listen up! I’ll also answer the following questions: Should you refinance? Familiar, or following the Baby Steps? Do you need long-term care insurance? Is helping others holding you back? Do you believe what millionaires believe? In Everyday Millionaires, I will show you how ordinary people built extraordinary wealth—and how you can too. + Buy Now: http://bit.ly/2BYoPFt The Chris Hogan Showis also available on YouTube: https://goo.gl/mbsoJ7 Come to Nashville to visit us at Ramsey Solutions! If you are a fan of the show, my producer, DW, wants to meet with you and hear your story. No matter where you are on your journey to your high-definition dreams, he wants to learn how you heard about us, hear your questions for me, and get feedback about the show! If you ask for DW at the front desk and he’s in town, he'll want to come see you! Other Resources in This Episode: + Read the Article: http://bit.ly/2Ok0Lmq + Download the Investing Guide: http://bit.ly/2HykIoQ + Use the R:IQ Assessment Tool: https://goo.gl/t58SyJ + Check Out the Net Worth Calculator: https://goo.gl/HFijYR + Join Our Private Facebook Community: https://goo.gl/bs7rRw + Find a SmartVestor Pro: https://goo.gl/a98Raq We want to talk to YOU! Call us with your success stories or questions about money. Leave us a voicemail at 844.283.9383 or email us at ask@chrishogan360.com. This episode is sponsored by our friends at WizeHire: http://bit.ly/2RN7la3 Connect with a mortgage expert at Churchill: http://bit.ly/2HUceZr Buy a home or refinance with Churchill: http://bit.ly/2HUceZr "Did you know 94% of millionaires say they live on less than they make? "— Chris Hogan In this episode, I’m going to talk to you about something that’s not only your greatest wealth-building tool but also your most valuable commodity. Do you want to be an everyday millionaire? Then check this episode out! In Everyday Millionaires, I will show you how ordinary people built extraordinary wealth—and how you can too. + Buy Now: http://bit.ly/2BYoPFt The Chris Hogan Showis also available on YouTube: https://goo.gl/mbsoJ7 Come to Nashville to visit us at Ramsey Solutions! If you are a fan of the show, my producer, DW, wants to meet with you and hear your story. No matter where you are on your journey to your high-definition dreams, he wants to learn how you heard about us, hear your questions for me, and get feedback about the show! If you ask for DW at the front desk and he’s in town, he'll want to come see you! Other Resources in This Episode: + Find a Real Estate ELP:http://bit.ly/2HCt27f + Read the Article: http://bit.ly/2HB4gnS + Use the R:IQ Assessment Tool: https://goo.gl/t58SyJ + Check Out the Net Worth Calculator: https://goo.gl/HFijYR + Join Our Private Facebook Community: https://goo.gl/bs7rRw + Find a SmartVestor Pro: https://goo.gl/a98Raq We want to talk to YOU! Call us with your success stories or questions about money. Leave us a voicemail at 844.283.9383 or email us at ask@chrishogan360.com. Here’s the second chapter of my audio book for free! Hope you enjoy. I also thought you might enjoy hearing from some everyday millionaires. To learn more, check out EverydayMillionaires.com The Chris Hogan Showis also available on YouTube: https://goo.gl/mbsoJ7 Come to Nashville to visit us at Ramsey Solutions! If you are a fan of the show, my producer DW wants to meet with you and hear your story. And it doesn’t matter where you are on your journey to your high-definition dreams. DW wants to learn how you heard about us, hear your questions for me, and get feedback about the show! If you ask for DW at the front desk and he’s in town, he'll want to come see you! Other Resources in This Episode: + Use the R:IQ: https://goo.gl/t58SyJ + Check Out the Net Worth Calculator: https://goo.gl/HFijYR + Join Our Private Facebook Community: https://goo.gl/bs7rRw + Find a SmartVestor Pro: https://goo.gl/a98Raq Call us with your success stories or questions about money. Leave us a voicemail at 844.283.9383. You can also email us at ask@chrishogan360.com. This episode is sponsored by our friends at WizeHire: http://bit.ly/2RN7la3 "People think millionaires build wealth by luck or by getting in early on something risky. Those are myths! "— Chris Hogan In this episode, I’m going to call out two specific millionaire myths. If you’re serious about building wealth, then listen up! In Everyday Millionaires, I will show you how ordinary people built extraordinary wealth—and how you can too. + Buy Now: http://bit.ly/2BYoPFt The Chris Hogan Showis also available on YouTube: https://goo.gl/mbsoJ7 Come to Nashville to visit us at Ramsey Solutions! If you are a fan of the show, my producer, DW, wants to meet with you and hear your story. No matter where you are on your journey to your high-definition dreams, he wants to learn how you heard about us, hear your questions for me, and get feedback about the show! If you ask for DW at the front desk and he’s in town, he'll want to come see you! Other Resources in This Episode: + Real Estate for Baby Boomers:http://bit.ly/2FaavwF + Use the R:IQ Assessment Tool: https://goo.gl/t58SyJ + Check Out the Net Worth Calculator: https://goo.gl/HFijYR + Join Our Private Facebook Community: https://goo.gl/bs7rRw + Find a SmartVestor Pro: https://goo.gl/a98Raq We want to talk to YOU! Call us with your success stories or questions about money. Leave us a voicemail at 844.283.9383 or email us at ask@chrishogan360.com. This episode is sponsored by our friends at WizeHire: http://bit.ly/2RN7la3 "People often get a raise and then raise lifestyle with it. The problem is they end up creating a process that never allows them to get ahead. "— Chris Hogan In this episode, I’m going to call out an epidemic that is happening among hopeful millionaires: income growth keeps getting matched by lifestyle growth. If you want a big net worth in your future, then listen up! In Everyday Millionaires, I will show you how ordinary people built extraordinary wealth—and how you can too. + Buy Now: http://bit.ly/2BYoPFt The Chris Hogan Show is also available on YouTube: https://goo.gl/mbsoJ7 Come to Nashville to visit us at Ramsey Solutions! If you are a fan of the show, my producer, DW, wants to meet with you and hear your story. No matter where you are on your journey to your high-definition dreams, he wants to learn how you heard about us, hear your questions for me, and get feedback about the show! If you ask for DW at the front desk and he’s in town, he'll want to come see you! Other Resources in This Episode: + Join Financial Peace University:http://bit.ly/2Rfsnh3 + Use the R:IQ Assessment Tool: https://goo.gl/t58SyJ + Check Out the Net Worth Calculator: https://goo.gl/HFijYR + Join Our Private Facebook Community: https://goo.gl/bs7rRw + Find a SmartVestor Pro: https://goo.gl/a98Raq We want to talk to YOU! Call us with your success stories or questions about money. Leave us a voicemail at 844.283.9383 or email us at ask@chrishogan360.com. This episode is sponsored by our friends at WizeHire: http://bit.ly/2RN7la3 “It doesn’t matter how much you make. I want you to bust out of that mindset. What matters is that you have a plan for your money.” – Chris Hogan In this episode, I bust some millionaire myths, share an article about millennial home buyers, and talk to callers about: selling homes, debt, employee stock purchase programs, accounts for putting money toward college, retirement account withdrawals, getting caught up after Baby Step 3, and retiring early. In Everyday Millionaires, I will show you how ordinary people built extraordinary wealth—and how you can too. + Buy Now: http://bit.ly/2BYoPFt The Chris Hogan Showis also available on YouTube: https://goo.gl/mbsoJ7 Come to Nashville to visit us at Ramsey Solutions! If you’re a fan of the show, my producer DW wants to meet with you and hear your story. And it doesn’t matter where you are on your journey to your high-definition dreams. DW wants to learn how you heard about us, hear your questions for me, and get feedback about the show! If you ask for DW at the front desk and he’s in town, he'll want to come see you! Other Resources in This Episode: + Read the Article: http://bit.ly/2ER1zMv + Use the R:IQ: https://goo.gl/t58SyJ + Check Out the Net Worth Calculator: https://goo.gl/HFijYR + Join Our Private Facebook Community: https://goo.gl/bs7rRw + Find a SmartVestor Pro: https://goo.gl/a98Raq We want to talk to YOU! Call us with your success stories or questions about money. Leave us a voicemail at 844.283.9383 or email us at ask@chrishogan360.com. This episode is sponsored by our friends at WizeHire: http://bit.ly/2RN7la3 “People chase investing that appears cute or clever, but cute or clever is like a one-hit wonder. I want you to avoid investments that reach a fast height and then drop significantly.”– Chris Hogan In this episode, I talk with callers and share two segments about things millionaires don’t invest in, based on our findings and research of over 10,000 millionaires. I want you to also check out what I dowant you to invest in: http://bit.ly/2Ex3iXe In Everyday Millionaires, I will show you how ordinary people built extraordinary wealth—and how you can too. + Buy Now: http://bit.ly/2BYoPFt The Chris Hogan Show is also available on YouTube: https://goo.gl/mbsoJ7 Come to Nashville to visit us at Ramsey Solutions! If you are a fan of the show, my producer DW wants to meet with you and hear your story. And it doesn’t matter where you are on your journey to your high-definition dreams. DW wants to learn how you heard about us, hear your questions for me, and get feedback about the show! If you ask for DW at the front desk and he’s in town, he'll want to come see you! Other Resources in This Episode: + Use the R:IQ: https://goo.gl/t58SyJ + Check Out the Net Worth Calculator: https://goo.gl/HFijYR + Join Our Private Facebook Community: https://goo.gl/bs7rRw + Find a SmartVestor Pro: https://goo.gl/a98Raq Call us with your success stories or questions about money. Leave us a voicemail at 844.283.9383. You can also email us at ask@chrishogan360.com. This episode is sponsored by our friends at WizeHire: http://bit.ly/2RN7la3 “We often invest the way we think or process. So be mindful that if you have a high risk tolerance, you are likely to approach investing with more risk.” – Chris Hogan In this episode, I talk with multiple callers, including a discussion about how men and women invest differently. In Everyday Millionaires, I will show you how ordinary people built extraordinary wealth—and how you can too. + Buy Now: http://bit.ly/2BYoPFt The Chris Hogan Showis also available on YouTube: https://goo.gl/mbsoJ7 Come to Nashville to visit us at Ramsey Solutions! If you are a fan of the show, my producer DW wants to meet with you and hear your story. And it doesn’t matter where you are on your journey to your high-definition dreams. DW wants to learn how you heard about us, hear your questions for me, and get feedback about the show! If you ask for DW at the front desk and he’s in town, he'll want to come see you! Other resources in this episode: + The article referenced: https://cnb.cx/2Ex0HfW + Use the R:IQ: https://goo.gl/t58SyJ + Check Out the Net Worth Calculator: https://goo.gl/HFijYR + Join Our Private Facebook Community: https://goo.gl/bs7rRw + Find a SmartVestor Pro: https://goo.gl/a98Raq Call us with your success stories or questions about money. Leave us a voicemail at 844.283.9383. You can also email us at ask@chrishogan360.com. I thought you might enjoy hearing from some everyday millionaires, so here’s the first chapter of my book for free! Hope you enjoy. To learn more, check out EverydayMillionaires.com The Chris Hogan Showis also available on YouTube: https://goo.gl/mbsoJ7 Come to Nashville to visit us at Ramsey Solutions! If you are a fan of the show, my producer DW wants to meet with you and hear your story. And it doesn’t matter where you are on your journey to your high-definition dreams. DW wants to learn how you heard about us, hear your questions for me, and get feedback about the show! If you ask for DW at the front desk and he’s in town, he'll want to come see you! Other Resources in This Episode: + Use the R:IQ: https://goo.gl/t58SyJ + Check Out the Net Worth Calculator: https://goo.gl/HFijYR + Join Our Private Facebook Community: https://goo.gl/bs7rRw + Find a SmartVestor Pro: https://goo.gl/a98Raq Call us with your success stories or questions about money. Leave us a voicemail at 844.283.9383. You can also email us at ask@chrishogan360.com. nice conversation, I'm enjoying listening. " I stopped listening to my radio and just listen to podcast." Chris so glad I found you and Dave, I was and still am drowning, but now I have HOPE! You guys have given me the chance to change not only my life, but my family tree! thank you so much! love the show and I listen to it daily as much as I can. your the man thanks for all the info. Chris is a passionate man and a good man. However this podcast is 100% motivational and lacks any kind of deeper investing or retirement content. I am already a very motivated investor. I don't need the raw raw stuff. I wish there was more deeper content. iTunes User Have you met with a certified financial planner? Met with mine today and the future is bright. Hope you get your answer soon. Americas voice on retirement finally comes to my phone automatically every day! Thanks Chris! Looking forward to some great content! Chris Hogan does not disappoint! His podcast is full of great information and he keeps it moving the whole time. He is SUCH a good speaker (some of the other Ramsey personalities: *cough* Chris Brown *cough*- should learn from him)!! I can't wait for more episodes! Is the upload coming soon? Love this podcast! Thank you for the knowledge and motivation Chris!